Fiduciary law, like many new niches in the legal environment, is a relatively recent invention. It is a product of the evolving specialization in different legal fields. As such, fiduciary law litigation (largely arising from the concept of a fiduciary and the specific duties that a fiduciary owes) is becoming increasingly prevalent. A natural progression of this development is the increased use of a fiduciary duty expert witness. Given the varied subject matters which a fiduciary expert witness may be brought in to discuss, understanding the respective fields of fiduciary law, in addition to the factual elements that a fiduciary duty expert witness may be asked to opine on, is critical to effectively present the expert’s opinion to the fact-finder. Black’s Law Dictionary defines a fiduciary as, “an individual or institution that is responsible for administering duties for the express benefit of other parties.”. There are fiduciaries in many different aspects of the law. This is because the term is broad enough to cross into other branches. This is similar to how contract law, and elements of it, contribute to other branches. Also like elements of contract law, the concept of a fiduciary has largely developed without formal, statutory realization. Instead, it has developed through common law. If one of these duties exist in a relationship, the relationship may be considered a fiduciary relationship. In some cases, adherence to all of the duties is required. For example, a professional in the financial industry who gives advice to a client must usually uphold all of these duties. If a client believes a fiduciary has breached any one of these duties, they can bring suit for breach of fiduciary duty. When trying to prove a breach of fiduciary duty, the burden is placed on the plaintiff to prove that a fiduciary duty existed. As well as that the fiduciary breached their duty within the fiduciary relationship. Fiduciary duty is a very important part of the law. It places an extra duty of care on the professional to act in the best interest of the client. This also includes placing a client’s interest before one’s own (in terms of the fiduciary). This is an important consideration, as, in many cases, the cause of action is a breach of fiduciary duty caused by a conflict of interest between the fiduciary and the client. When there is a conflict of interest, the fiduciary must put the interest of their client above their own. Otherwise, they are likely to have breached their fiduciary duty. For example consider this case, where an investment advisor at a wealth management fund did not disclose payments they received from mutual funds when they invested in said mutual funds. There was an apparent conflict of interest. As well as the impression that the investment advisor was swayed by the payments by the mutual funds (diverting money to funds that provided higher payments). However, the fiduciary duty expert witness was brought in to discuss the disclosure requirements of the defendant investment advisor. Not necessarily the agreement between the investment advisor and the mutual funds. In many cases, the issue is not defined by a hardline rule. Rather by degrees of analysis which may suggest a violation of the fiduciary standard. Elements including prior history/dealings, the education and experience of both parties, the positioning of both parties, and other items that dictate the parties’ positions will factor into how the fiduciary standard should be applied. In the previous case, the issue arose because of the unique relationship that the investment advisor had to their clients. Including their familiarity with discussing problematic, external circumstances, which caused a conflict of interest. What Kinds Of Experts Are Typically Used? Given the broadness of the field, the conception of a fiduciary has been utilized in almost every type of case. For the purpose of this article, we will focus on five types of fiduciaries in the financial industry; financial advisers, broker-dealers, retirement plan sponsors, trustees, and board members. This article highlights these five. However, that is not to say they are the only types of fiduciaries in the financial field. By focusing on these types of cases, the relevant fiduciary duty expert witness can be analyzed in context. Specifically, a fiduciary duty expert witness must have relevant experience or knowledge. They should also be able speak to the accepted practices of the industry and the defendant’s role. Financial advisers owe their clients a fiduciary duty to make investments that support their clients’ needs and interests as an investor. Currently the only legislation that speaks to the fiduciary duty of financial advisers is the Investment Advisers Act of 1940. However, the newly passed Dodd-Frank Act gives the SEC the power to promulgate regulations with regards to the fiduciary duties of financial advisers. Currently the SEC has not passed regulations to change the fiduciary duties of financial advisers. However, they have proposed several different regulations that, if passed, would put more restrictions on financial advisers. The SEC has not established this standard. Consequently, both the financial planning association (FPA) and the certified financial planner board (CFP) have created a standard of care and standard of professional conduct to define the duties of a financial adviser. The FPA’s standard of care states that a financial adviser must put the client’s best interest first. This involves acting with due care and the utmost good faith, not misleading their clients, providing full and fair disclosure of all material facts, and disclosing and fairly managing all material conflicts of interest. The CFP board’s standard of professional conduct defines a fiduciary as one who acts in the utmost good faith in a manner he or she reasonably believes to be in the best interest of the client. A financial adviser is not required to register with either of these groups. However, they are highly respected in the industry and are good qualifications for a financial adviser to have. An financial advisor expert witness in a case is usually another financial adviser or professional in the field. They would need to speak to the standard of care set forth by the FPA and the standard of professional conduct set forth by the CFP board. In addition, an expert witness could explain how these two standards are interpreted and applied by the majority of financial advisers. They could also explain what a financial advisor should do given the circumstances around the cause of action. Brokers have a fiduciary duty during the one time transaction that they are completing for the client. Unlike a financial advisor who continually owes a fiduciary duty, a broker only owes a fiduciary duty for the one time transaction. The SEC also has the power to promulgate rules that speak to the fiduciary duties of brokers. Similar to financial advisers the SEC has not passed regulations regarding the fiduciary duties of brokers. However, the expected SEC regulations would do more to regulate brokers than financial advisers. Therefore, it is very likely that the landscape of fiduciary law regarding broker dealers will see dramatic changes in the near future. Similar to financial advisers, an expert witness in a case involving a broker would most likely be another broker. The expert witness would speak to the generally accepted practices in the industry. More importantly, an expert witness would be needed in a case involving a broker. Their job would be to determine when the fiduciary relationship between the broker and their client ended. When the fiduciary relationship ends is usually the key factor in a case involving a broker. Therefore a fiduciary duty expert witness speaking to this factor is crucial in winning a breach of fiduciary duty case. The fiduciary duties of retirement plan sponsors are codified in the Employment Retirement Income Security Act (ERISA) section 3(21) and section 3(38). This is one of the few places where the duties of a fiduciary are actually documented in a regulation. Retirement plan sponsors are responsible for determining investment choices, membership parameters, and other administrative duties of the plan. If the plan sponsor does not have the technical knowledge and experience to properly manage investments they are required to hire a knowledgeable adviser for the plan. Both the adviser and the plan sponsor owe a fiduciary duty to all the members of the plan. ERISA 3(21) deals with advisers who do not have discretion over the investments in the plan. These types of advisers only give advice to the plan sponsor, and the plan sponsor ultimately makes the trades. The adviser has a fiduciary duty to recommend investments, suggest replacements, and provide counsel and guidance to the plan sponsor. These types of advisers help to mitigate some of the liability of the plan sponsor. An adviser under ERISA 3(38) mitigates even more of the liability a plan sponsor has. Advisers who fall under ERISA 3(38) have discretion to make trades for retirement plans and manage the entire investment process of the plan. The adviser has a fiduciary duty to act in the best interest of the members of the plan. However, this does not relieve the plan sponsor of all of their fiduciary duty. The plan sponsor still has a fiduciary duty to hire a competent and reliable adviser for the plan. In a case involving a retirement plan sponsor or adviser, a relevant and reliable expert witness would either be a plan sponsor, an adviser for a retirement plan, or anyone who advises plan sponsors on setting up a retirement plan. A plan sponsor could speak to questions about either managing the plan themselves or hiring an adviser and ensuring they are qualified to manage the plan. A professional who advises plan sponsors would be able to answer questions about whether the adviser was qualified to advise the sponsor, and the standard of care accepted in the industry. Trustees owe a continual fiduciary duty to the beneficiary or beneficiaries of the trust. Trustees differ from other fiduciaries in the financial industry because they are not always professionals dealing with clients. Many trustees are family members of friends of the grantor of the trust. The grantor has trusted the trustee to act in the best interest of the beneficiary of the trust. A fiduciary duty expert witness in a trust case would be someone who is either a trustee or a professional who advises trustees, creates trusts, or advises grantors on whom to appoint as trustees. The expert could speak to the fiduciary duties most trustees have. They could speak as well on whether they acted outside of the normal parameters of a trustee. Board members owe the shareholders a duty to make sure the company is run in the best interest of the shareholders. They are not involved in the day-to-day activities of the company but they must determine the mission and overall policies of the company in a way that will benefit the shareholders of the company. A board member expert witness in a case involving board members would most likely be another board member. In many cases, the allegation is a breach of the duty of loyalty. Hence, a duty of loyalty expert witness is required to opine on the violation. They would speak to the responsibilities a board member owes stockholders and the ways to influence a company to move in the direction that benefits the shareholders. Additionally, a fiduciary duty expert witness would be useful in identifying potential conflicts of interests for board members and how they could have handled them. 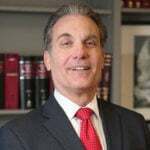 Stephen Gomez, J.D., is a legal compliance and professional risk specialist who manages employment lawsuits for large corporate entities including, banks, fortune 500 companies, hospitals, and universities.